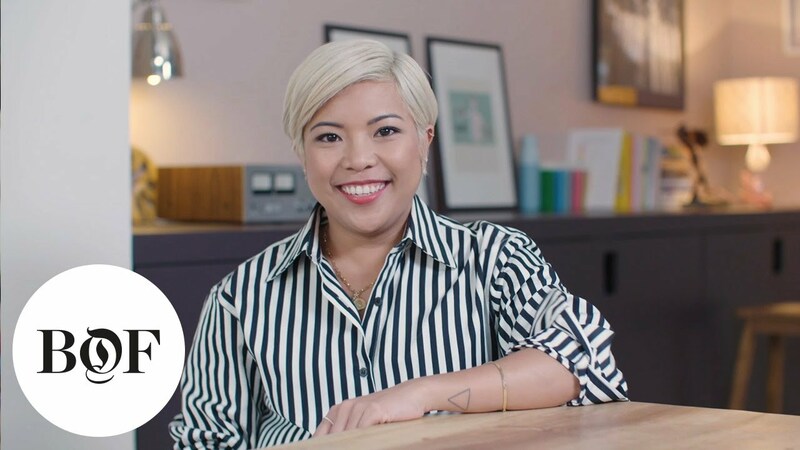 Jen Rubio is the Co-Founder and Chief Brand Officer of Away, a global lifestyle brand designing thoughtful objects to make traveling more seamless. Before starting Away, Jen built her career as a branding, creative, and social media expert, redefining how customers and brands connect. In 2015, Jen was named to the Forbes 30 Under 30 list for Marketing and Advertising. She lives and works in New York. Professionals wishing to advance their knowledge of Direct-to-Consumer brands and businesses. Individuals seeking the ideation skills and execution framework to start their own venture. Students or graduates planning a career in brand management seeking professional development. Learn how to plan, launch, grow and sustain a DTC brand. Key principles of entrepreneurship and industry leading strategies for brand management. Deep-dives into essential concepts including: brand identity, product development, market positioning, online and offline retailing, marketing touchpoints, innovation and financing. 10 hours of exclusive content, including 10 video tutorials from Jen Rubio. Downloadable materials which enable you to apply and revisit key theories and frameworks. Challenging worksheets and case studies to put your learning into practice. Questions on the curriculum or about buying multiple courses? Please contact education@businessoffashion.com. 1. Defining a direct-to-consumer brand, and how to identify whether a whitespace exists in the market. 2. Launching a brand in a meaningful way. 3. Ways to build an engaged community online and offline. 4. Innovation, funding and what’s next for the brand’s long-term success. Your course expert outlines a brief history of significant fashion branding moments, before explaining what DTC brands are and why they are so prominent today. In this chapter you’ll also learn about the process of entrepreneurship and the main frameworks that fashion founders can utilise when creating new business ventures to reduce risk and secure success. Explaining the DTC, start-up and entrepreneurship ecosystems. Example frameworks to apply to new ventures e.g. the lean start-up model. How to settle upon an idea? Whether you’re planning to improve something already in the marketplace or create a new category, the chapter covers the importance of identifying the whitespace in the market and then using consumer research to inform the brand and product. Creating consumer personas and mapping user journeys. Once you’ve identified the whitespace in the market, it’s time to define the brand DNA and identity. The course takes you through the critical elements – including brand identity and tone of voice – to ensure differentiation in the marketplace and inform the development of all other aspects of the business, from product design to manufacturing decisions, marketing and PR. The chapter includes a deep-dive on the importance of storytelling as a strategic tool, as well as go-to-market strategies. Identifying a brand’s mission statement, values, personality and tone of voice. Building emotional connections with consumers through storytelling. Now we focus on how to grow your brand by building engaged communities, both online and offline, through constant communication with customers. The chapter takes a detailed look at retail strategies and experiential marketing, as well as product extensions and collaborations, as key mechanisms for growth. Best generating engagement and relationships with customers. Assessing the basis for an effective collaboration. This chapter examines the challenge of sustaining a business’ success both financially and operationally. A deep-dive into funding your business, including how to best identify investors and refine your pitch, is followed by insights and initiatives enabling you to nurture and maintain a company-wide working culture that prioritises innovation. Identifying the best funding options (personal finances, loans, grants, private equity and crowdfunding). Using innovation to differentiate and grow the brand. Key lessons and final words of advice from Jen. Completing a BoF course demonstrates your dedication to enhance your fashion career. Add this achievement to your CV, which employers will recognise as a sign of a motivated and ambitious applicant. Demonstrate your updated professional knowledge by adding your BoF course certificate to your profile with the click of a button. Join BoF Careers and receive the latest jobs in fashion straight to your inbox, by setting up a job alert here. Don't see the course you're looking for? Let us know what topics you would like covered by an online course from BoF Education in 2019 by clicking here. Do you have a question about BoF Education? If so, please refer to our FAQs below. If you need further support, please contact us at education@businessoffashion.com. Purchase one online course for $195 (or equivalent in your local currency) and only receive access to that course. The Entrepreneur’s Toolkit is only available with a BoF Professional Membership. As part of your subscription, you also receive access to all other BoF online courses and learning materials. Yes. Before purchasing the online course, you will be asked for basic information in order to register an account with BoF. No, you don’t have to be a BoF Professional Member to purchase an online course. Certain learning materials, such as The Entrepreneur’s Toolkit, are only available to BoF Professional Members. If you are a BoF Professional Member, you have access to all online courses and learning materials from BoF Education, as part of your subscription. There is no age limit. BoF Education online courses and learning materials are self-directed and can be taken at any stage of your career. You can purchase as many of the online courses as you like. Certain learning materials, such as the Entrepreneurs Toolkit, are only available to BoF Professional Members. If you are a BoF Professional Member, you have access to all online courses and learning materials from BoF Education as part of your subscription. If you purchase a BoF Professional Membership, you can access all online courses and learning materials from BoF Education as part of your subscription. If you are a BoF Professional Member, all online courses and learning materials are available to you by pressing ‘Enrol Now’ to access. Please email professional@businessoffashion.com if you have any problems. To purchase one online course, simply select your online course, press ‘Purchase Now’ and follow the steps to payment. You then immediately have access to the online course. The online courses and learning materials are entirely online so you can learn at your own pace and around your own schedule. You are able to start immediately after purchase or at your next convenience and there is no deadline to complete. If you are a BoF Professional Member, you have access to the online courses for as long as your subscription is active. If you are a BoF Professional Member, you will have access to the online course material for as long as your subscription is active. If you buy a single course you will retain access to the material while the online course is available on BoF. You are able to download any written course materials, including all academic presentations and extra reading. The video tutorials are not available to download. If you buy a single online course, there is no time limit, you can progress at your own pace and you will retain access to the material while the course is available on BoF. If you are a BoF Professional Member accessing the online courses, you have access for as long as your subscription is active. You will receive a BoF digital certificate. This certificate can be automatically added to LinkedIn or other social media, and can be listed on your CV or resume. You are also able to download and print your certificate if you would like to. This is only applicable to the online courses, and not to the learning materials such as the Entrepreneur’s Toolkit. No, BoF online courses are not accredited at the moment. There are no exams in any of the online courses or learning materials. Throughout the online courses there are short quizzes which help reinforce your learning. As a BoF Professional Member, your access to the online course is part of your subscription. If you are purchasing an individual online course, payment is taken before you can begin the online course. You can cancel your BoF Professional membership at any point throughout the year to cancel renewing for the following year. The annual payment for the first year will be taken at point of purchase and you will retain access until this expires. Please refer to our T&C’s for more information on annual subscriber cancellation. If you are within the UK or EU and require a VAT receipt, please contact education@businessoffashion.com.